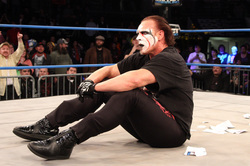 TNA Impact (1/30) Results: The Investor Revealed! TNA Impact! (1/2/14) Results: AJ Styles Returns! TNA Impact! (12/26) Results: Handicap Match Time! TNA Impact! (12/12) Results: Feast Or Fired Is Back!